The SPT Series Integrated Pretreatment Systems, which integrate an oil water separator with an inclined plate clarifier, have been specially developed for treating wash water from heavy commercial and industrial washing operations with discharge to the sewer. 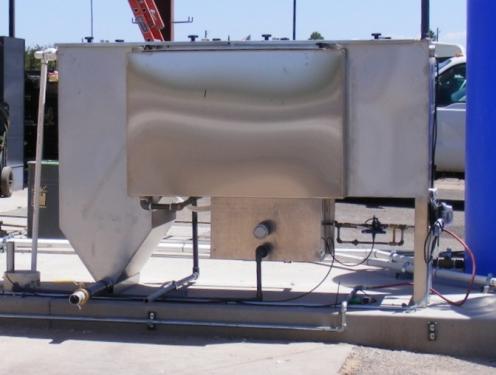 The clarifier section removes all settable solids while the oil/water separator section will remove all non-emulsified oil and odors from the waste stream. These heavy-duty stainless steel systems, are considered to be the “Best Design in the Industry” and the “Best Value on the Market”! Give us a call at 800-453-8639 for more information. 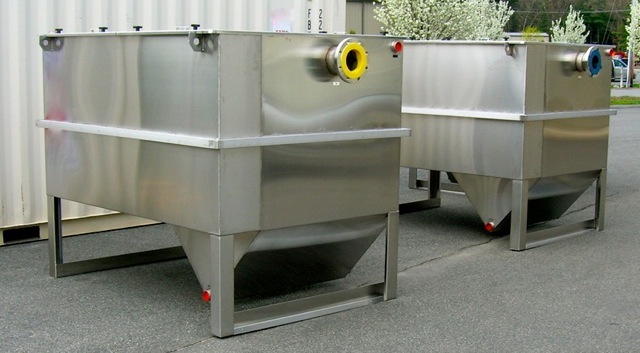 Designed for treating wash water from commercial and industrial washing operations. These cost-effective systems will help satisfy local, state, and EPA environmental requirements as well as reduce water usage and operating costs. We offer a range of sizes and auxiliary wash equipment that can be engineered for your particular application. This cost-effective system will help satisfy local, state, and EPA environmental requirements as well as reduce water usage and operating costs. We offer a range of sizes and auxiliary wash equipment that can be engineered for your particular application. How does the flow process work? How do you maintain an oil water separator? How does the oil separator remove the oil from water? What are the advantages to an oil water separator system?